New Brunswick Premier David Alward and Southwest Miramichi MLA Jake Stewart visited the students and staff at Blackville School on Monday, January 17. 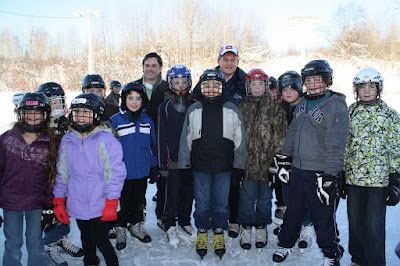 The two politicians joined some of the students for skating at the local outdoor rink. The premier was then given a tour of the school and visited some of the classes. Please note: Video coverage of the visit will be posted soon.